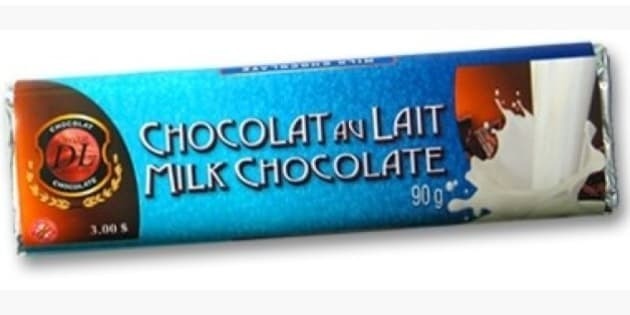 A Montreal mother is raising questions about the sales techniques used by teenagers selling chocolate bars door to door for a Quebec company called Ado-Boulot. CBC Montreal Investigates has obtained a copy of the one-page tip sheet for employees of the organization. It says they should ask clients to buy “two, four, eight or ten” of the $5 chocolate bars to encourage them, and adds teens should “place two chocolate bars” into the hands of potential customers. “It&apos;s like pushing it down their throat,” said Nathalie Pelletier, a Lachine mother whose son Dylan Ruff worked for Ado-Boulot for two days. “To shove it in their face, it’s not necessarily the best thing,” she said. Ruff told CBC he was let go following his second day after being unable to meet a 25-chocolate bar quota, and for asking to leave before the end of his shift as he was ill.
“It shouldn’t be fair on the second day that you get fired because you didn’t sell enough chocolate bars,” he said. Ado-Boulot declined our repeated interview requests. We nevertheless obtained some information over the phone. In that conversation, we spoke with a supervisor, who said there is a sales sheet for new employees to memorize, and confirmed teen door-to-door salespeople make a dollar off of each $5 chocolate bar they sell. He said there are no quotas imposed, though. “You’re putting a child in a situation where they may have to fend off an aggressor, where they may have to fend off someone whose intentions are not really to buy a chocolate. Is the company teaching the associate how to avoid those types of situations, how to get out of those situations?” He said. “The ability to sell and persuade in an ethical manner is one which is a very valuable skill,” Moore said. On its website, Ado-Boulot says it donates a part of its proceeds to a registered charity called Fondation d’Adolescents en Difficulté du Québec. Ado-Boulot also says it helps pay for activities for its teenage employees,including field trips to water slides or La Ronde. The company also says it organizes humanitarian trips to Cuba and other countries.